While smaller properties utilise shrubs, larger sites like parks, roads and farms tend to use trees. Because hedges never stop growing, it’s important to keep trimming and pruning them regularly, particularly those planted in fast growing tree or shrub varieties. 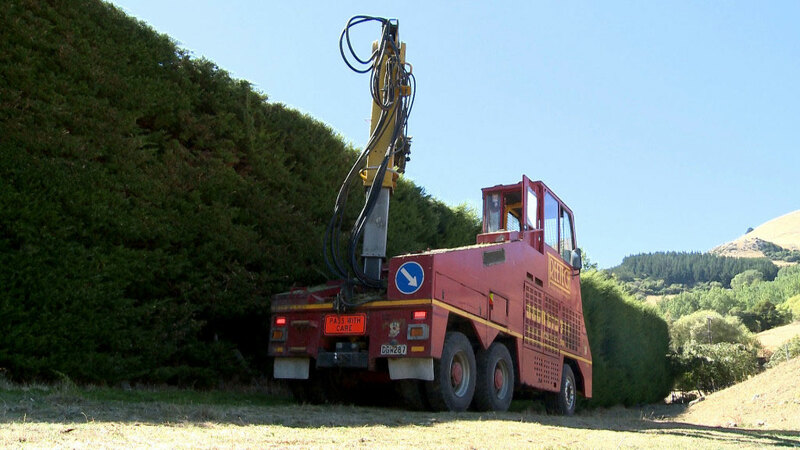 We regularly provide hedge maintenance for farms and councils in the Canterbury region so can easily take good care of rural shelterbelts and hedging in parks, sports fields, roads and other public areas. We also have the experience, expertise and equipment to take good care of traffic management on any road to ensure the safety of all road users while carrying out hedge trimming and cutting. And because shelterbelts on large sites are more difficult to keep trimmed and clear of power lines, they require the maintenance and care of power line clearance approved contractors like us. Our consultants can meet with you on site to determine what your shelterbelt requirements are and tailor a cutting and maintenance contract to suit. Contact us today for professional shelterbelt trimming of large tree hedges.